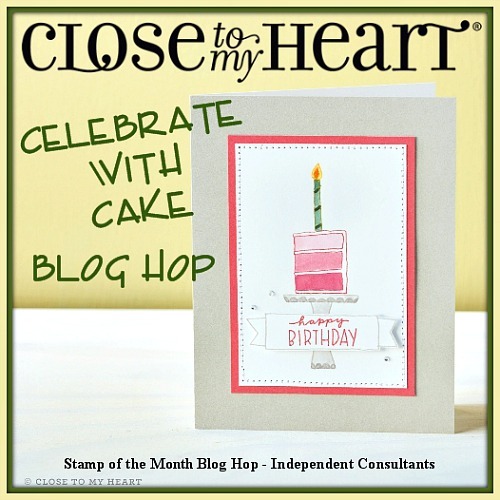 Paige Dolecki - Stampologist: May Stamp of the Month Blog Hop - Celebrate with Cake! May Stamp of the Month Blog Hop - Celebrate with Cake! Welcome to the May Stamp of the Month Blog Hop where we are featuring the limited edition Celebrate with Cake stamp set! If you have come here from Michelle's Blog you are on the right track. If you get lost along the way you can see the full list of participating CTMH bloggers HERE. Today's card features our brand new Magical Paper Pack from our Seasonal Expressions 2 Idea Book! This paper is a fun nod to Disney with its bright cheery colors and patterns but also perfect for general celebration projects. I decided to make a shadow box pop up display card to focus on the awesome build-a-cake aspect of the May SOTM. ...and fully closed flat and ready to slip into an envelope. This shows the depth of the shadow box - and the cute watercolored cake! The white twine on the Glitter Paper balloons is another new product from the Seasonal Expression 2 book - its nice and thin so it ties easily with no extra bulk. I used some CTMH cricut cuts to decorate the front of the card and added a bit of liquid glass to the sentiment to keep it stiff. Let's go see what wonderful creation Gina has to share today! What a great card! I love the sparkle. What FUN FUN FUN card ever! Wow! love the dimension and all the sparkle! This is a great Bday card! 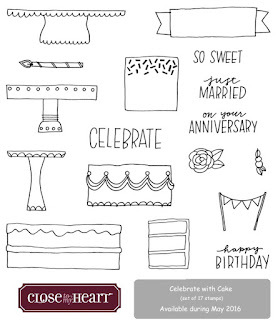 Super fun card....love the surprise that it pops. Great job. I have never seen a shadowbox pop-up card. That is so neat! The cake is just perfect for the center! How awesome is this!!! I love your card so creative.